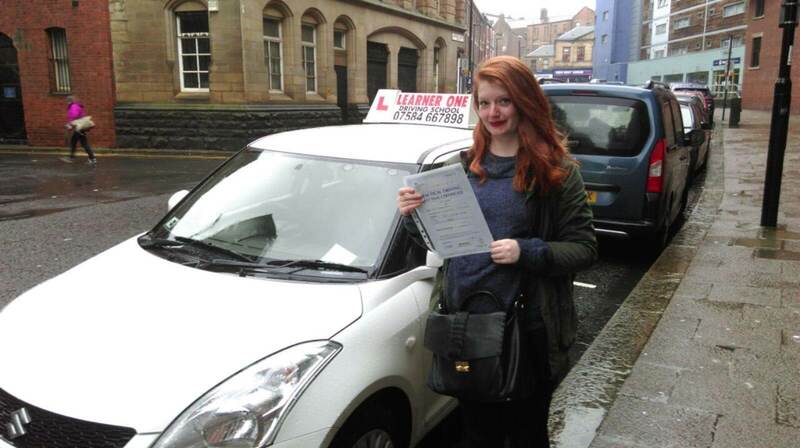 Our Image Gallery displaying our latest successful students is now live. 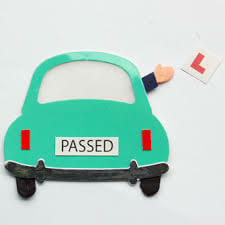 Check back for the latest updates or alternatively contact us for further information. 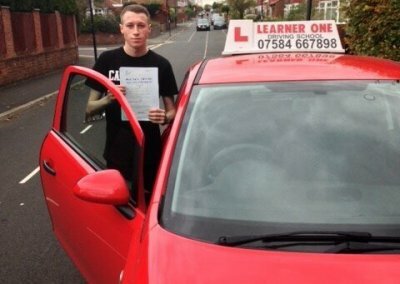 Well done Kane on passing 1st time with only 2 minor marks,Brilliant! 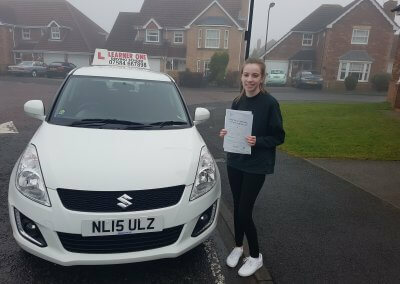 Well done Hannah on passing your driving test with 5 minor marks! 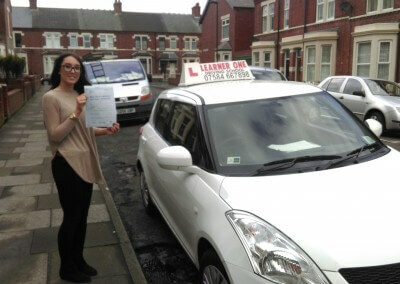 Well done Laura on passing your driving test with only 5 minor marks! 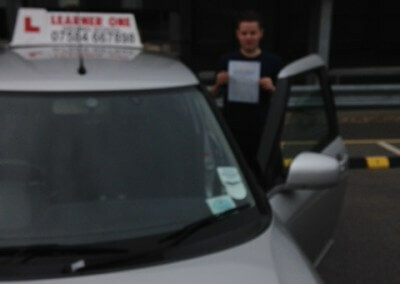 Congratulations Kristian on passing your driving test with only 2 minor marks. 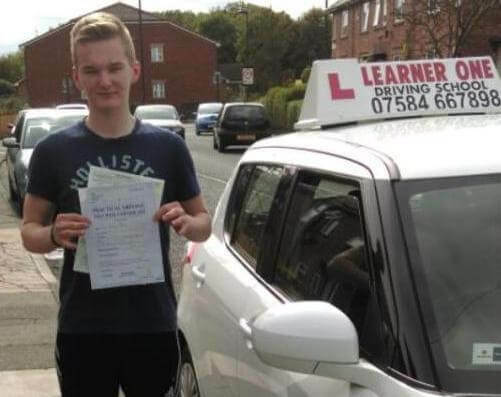 Congratulations on passing your driving test with only 3 minor marks, brilliant! 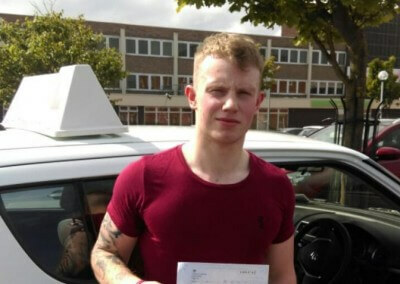 Congratulations Alister Mackinley on passing your driving test 1st time!! 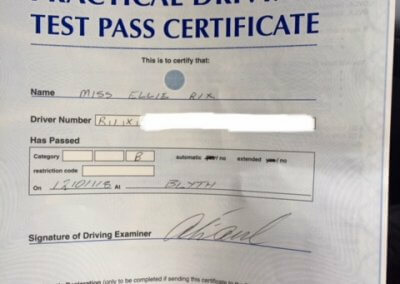 with only 2 minor marks. 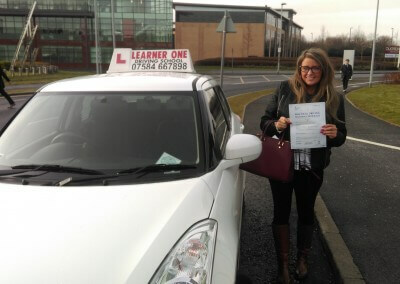 Congratulations Vicky on passing your test 1st time!! 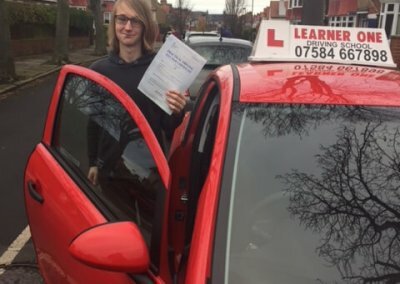 with only 4 minor marks. 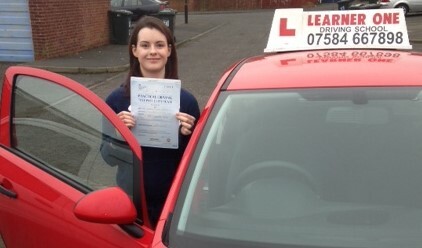 Well done Lousie on passing your driving test!! 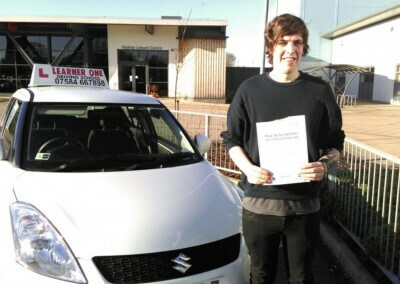 Well done Mathew on passing your driving test with only 3 minor marks! Well done Adam on passing your driving test with only 5 minor marks! 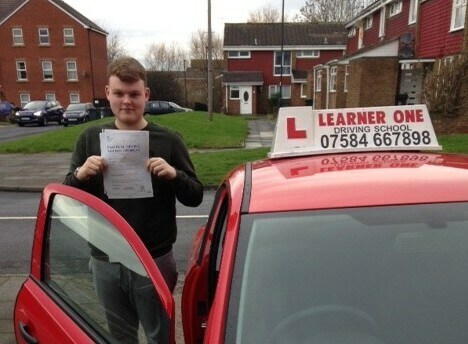 Well done Charlie on passing your driving test with only 3 minor marks! 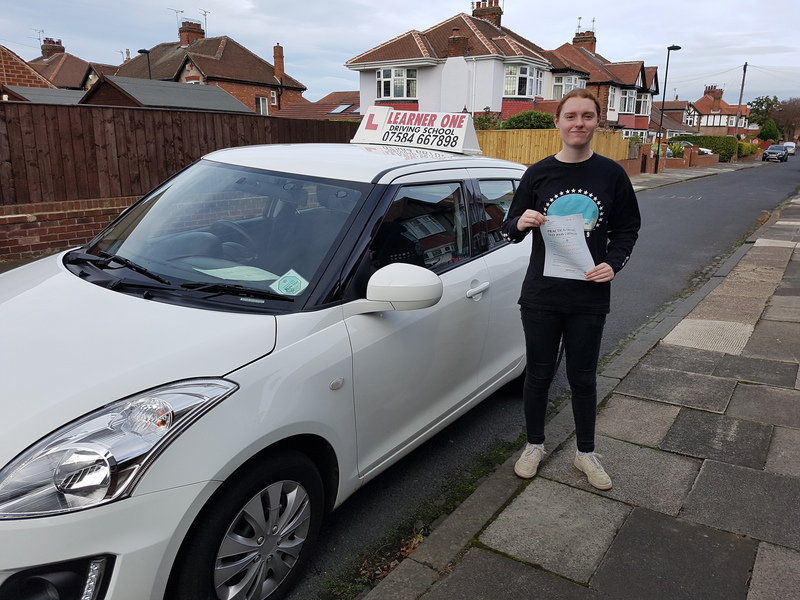 Well done Elliot on passing first time with only 3 minor marks! 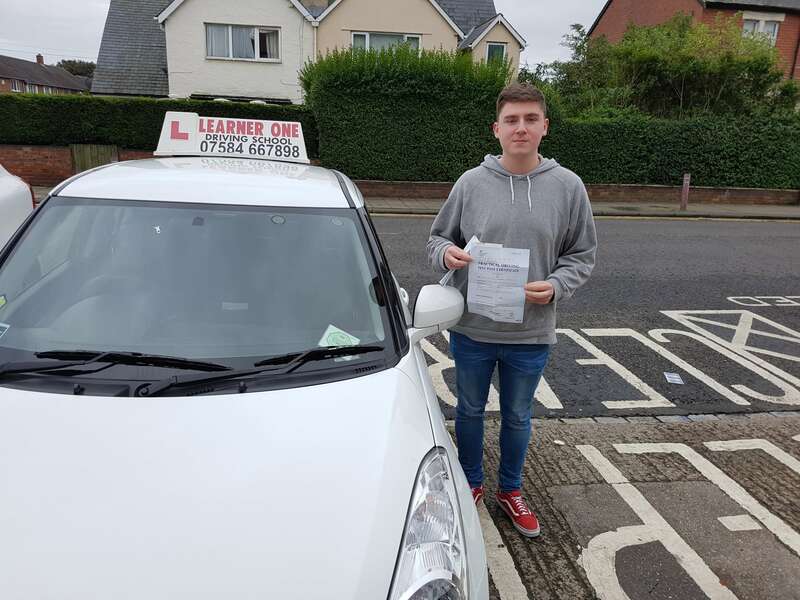 Well done Ross on passing first time with only 7 minor marks,brilliant! 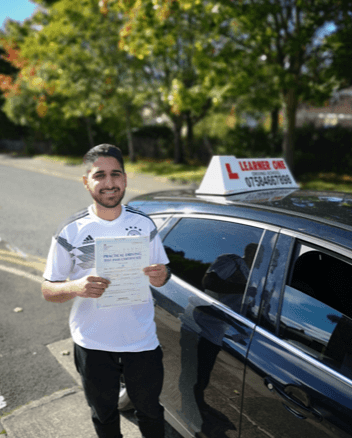 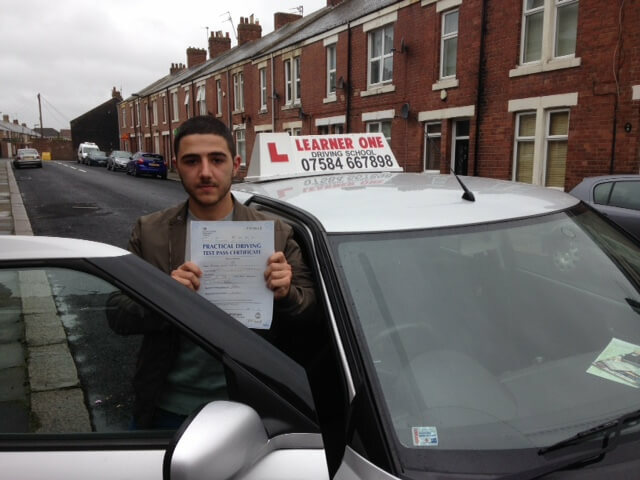 Well done Arif on passing you driving test first time with only 4 minor marks! 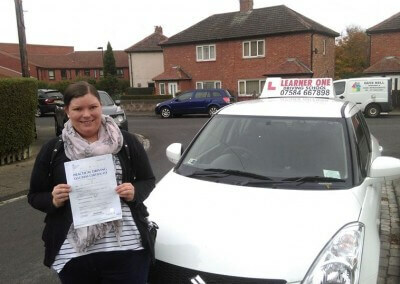 Well done Emma on passing your driving test with only 1 Minor mark! Congratulations Mathew on passing your driving test with only 1 minor mark, Brilliant! 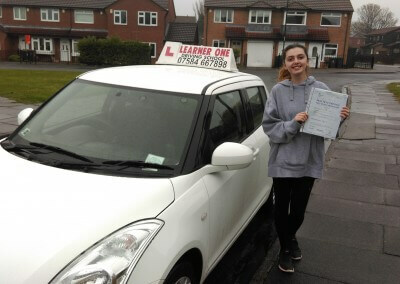 Well done Sophie on passing your test today with only 3 minoer marks! 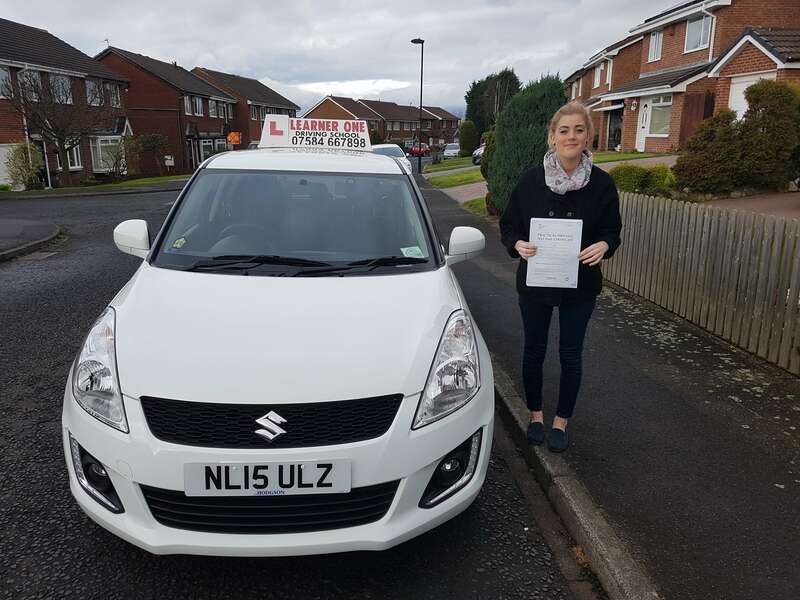 A massive well done to Courtney for passing 1st time with only 4 minor marks! 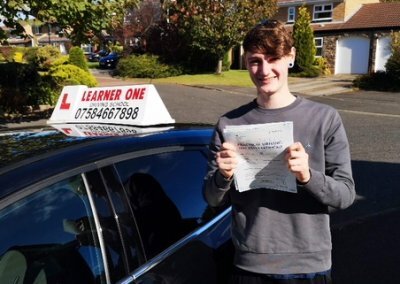 Congratulations Daniel on passing your practical driving test 1st time, and with only one minor mark! 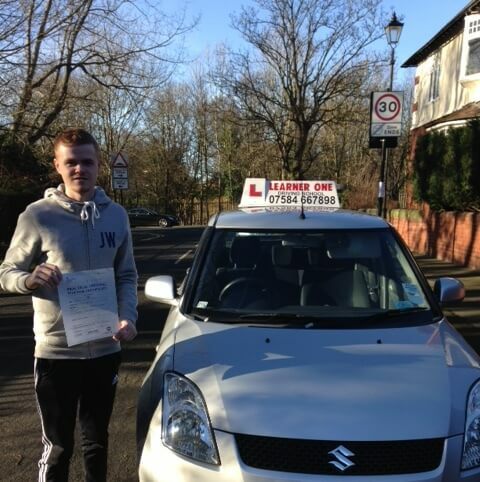 Well done Joe on passing your practical driving test with only 3 minor marks! 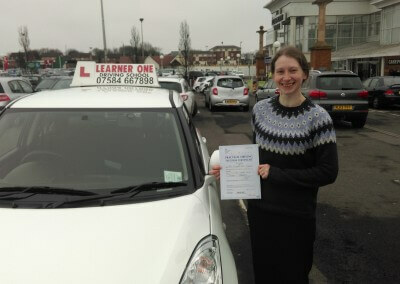 Well done Diana on passing your practical driving test 1st time! 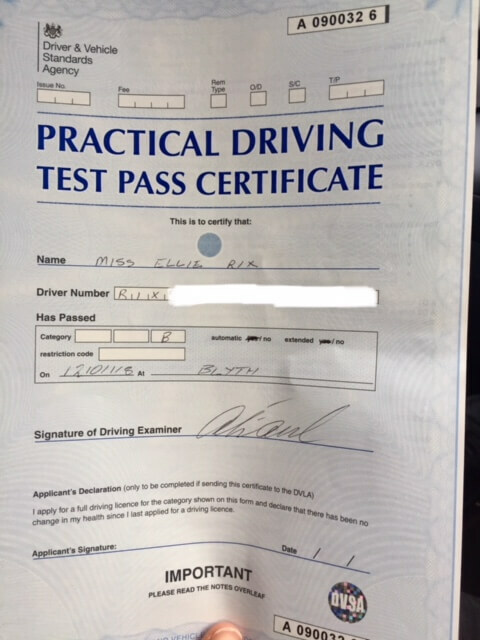 with only 7 minor marks. 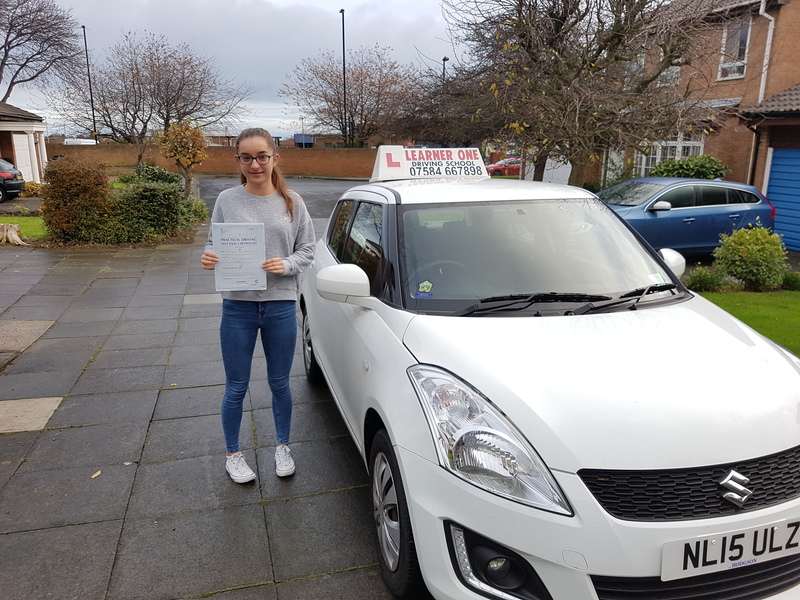 Well done Ellie Harper on passing your practical driving test with only 1 minor mark! 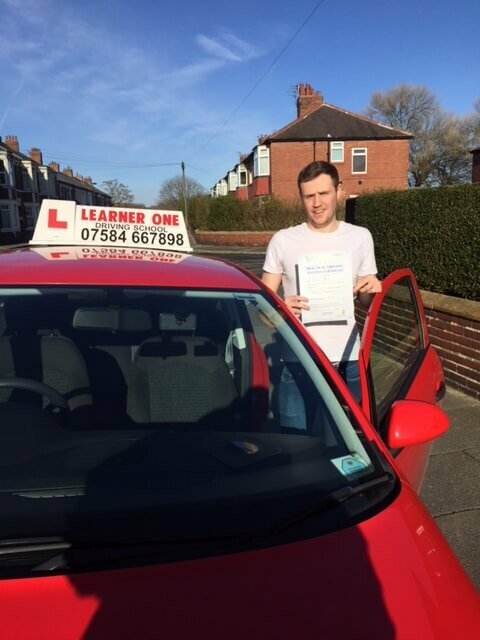 Congratulations Joe on passing your practical driving test first time! with only 6 minor marks. 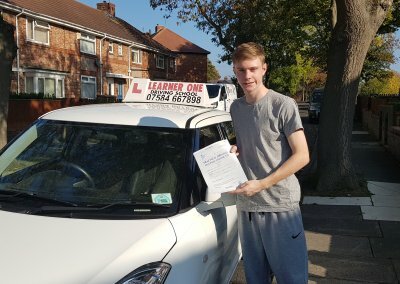 Congratulation Ben on passing 1st time! 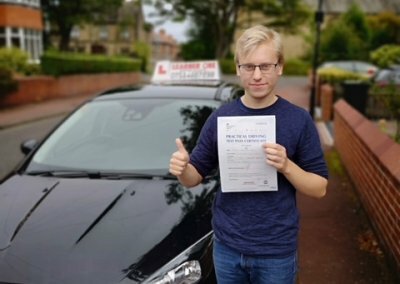 with only 5 minor marks. 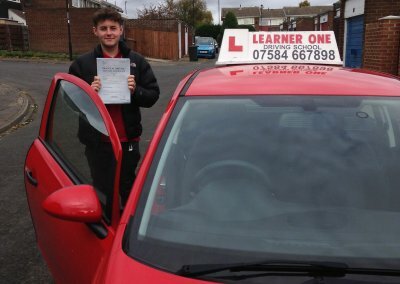 Well done Jay on passing your practical driving test first time with only 7 minor marks! 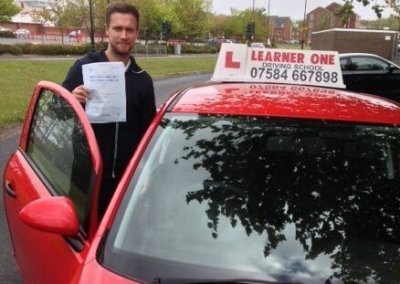 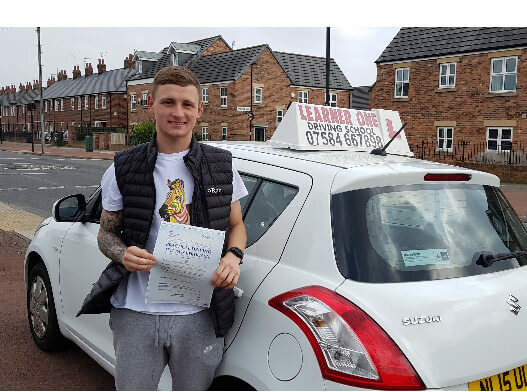 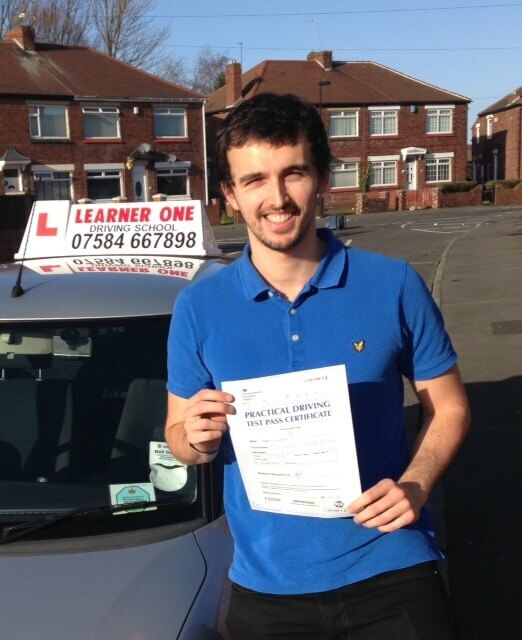 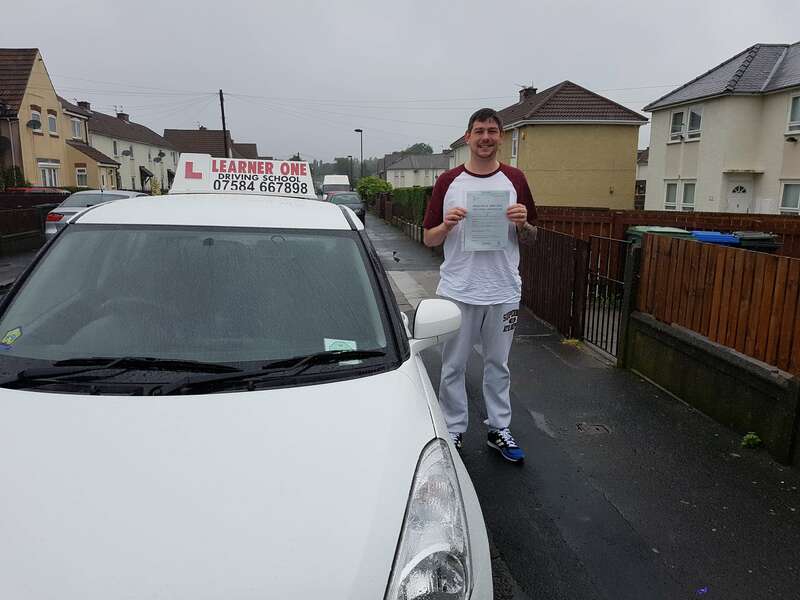 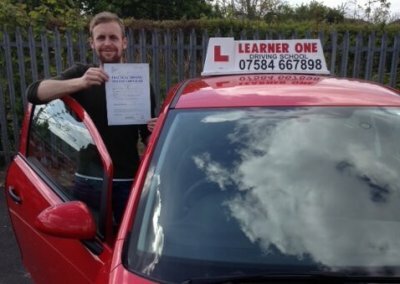 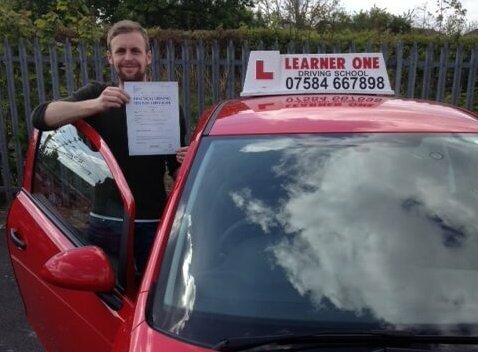 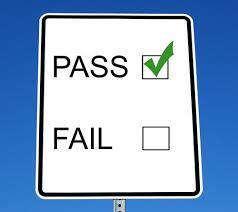 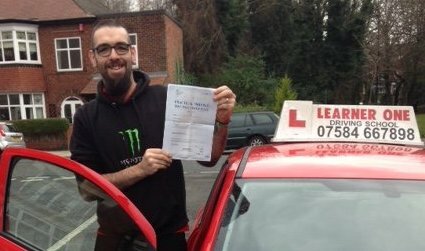 Congratulations on passing your practical driving test at with only 4 minor marks! 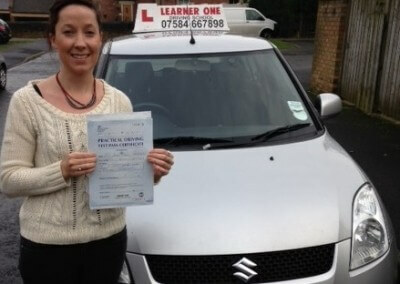 Well done Nicola Caygill on passing your practical driving test 1st time! 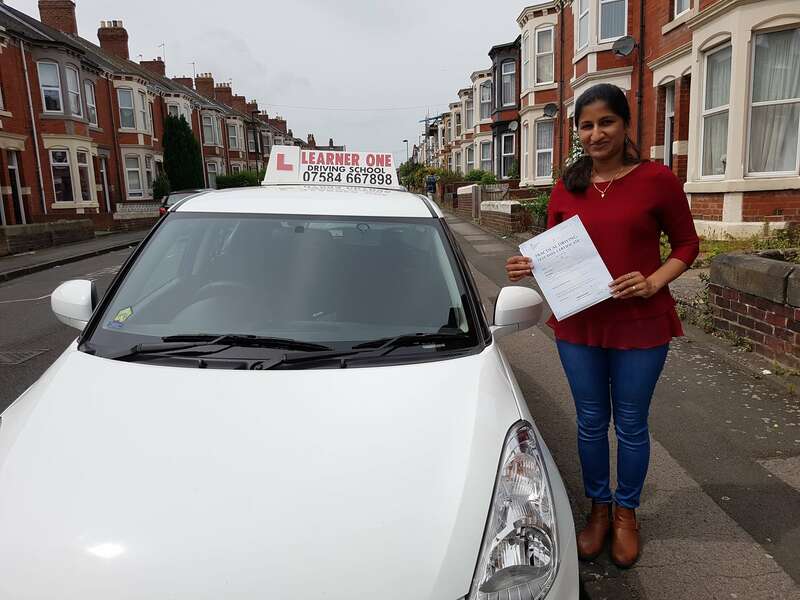 with only 6 minor marks. 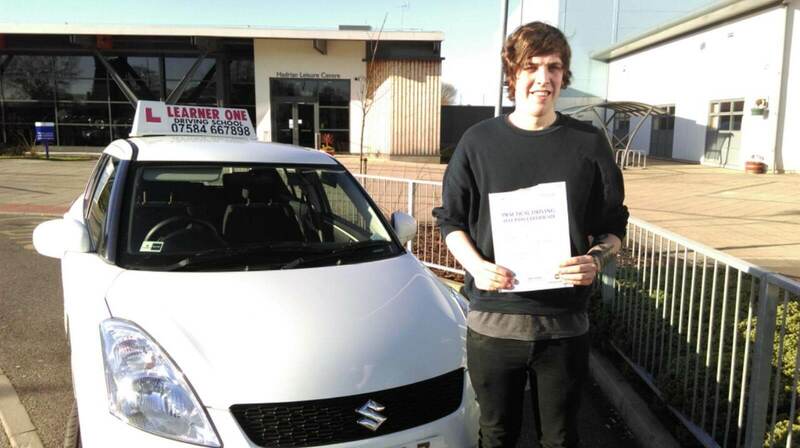 Congratulations Joe on passing your practical driving test with only 8 minor marks, a great effort! 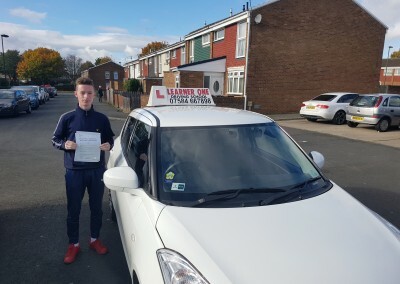 Well done Daniel on passing your test first time with only 3 minor marks! 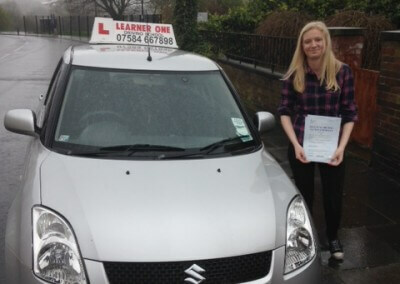 Well done Katie on passing your practical driving test with only 2 minor marks! 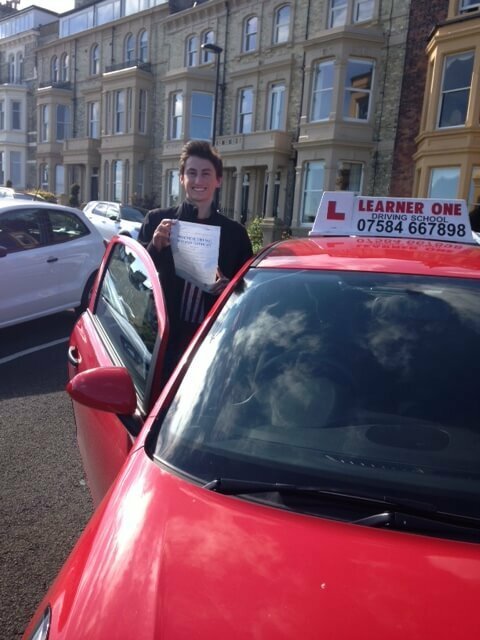 Well done Dane on passing your practical driving test with only 5 minor marks! 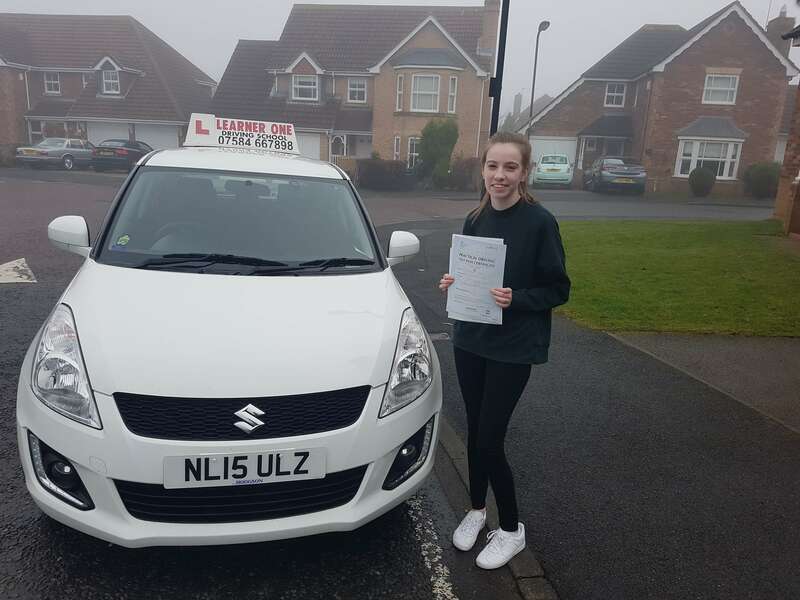 Well done Sophie on passing your practical driving test with only 9 minor marks! 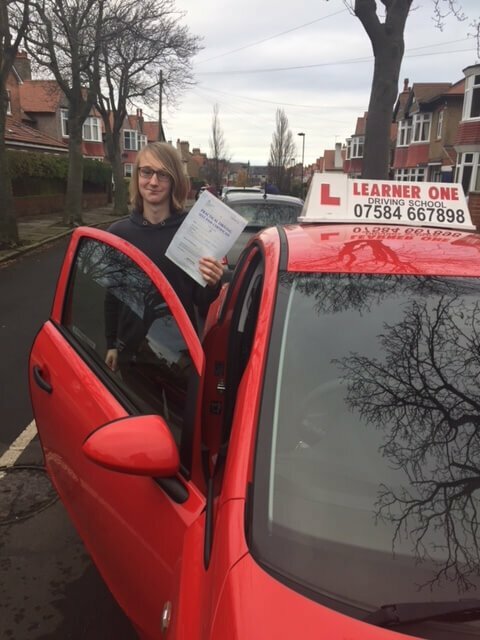 Well done Sam on a brilliant 1st time practical driving test pass! 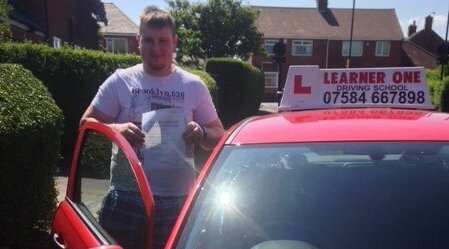 Well done Paul on passing your practical driving test 1st time with only 5 minor marks! 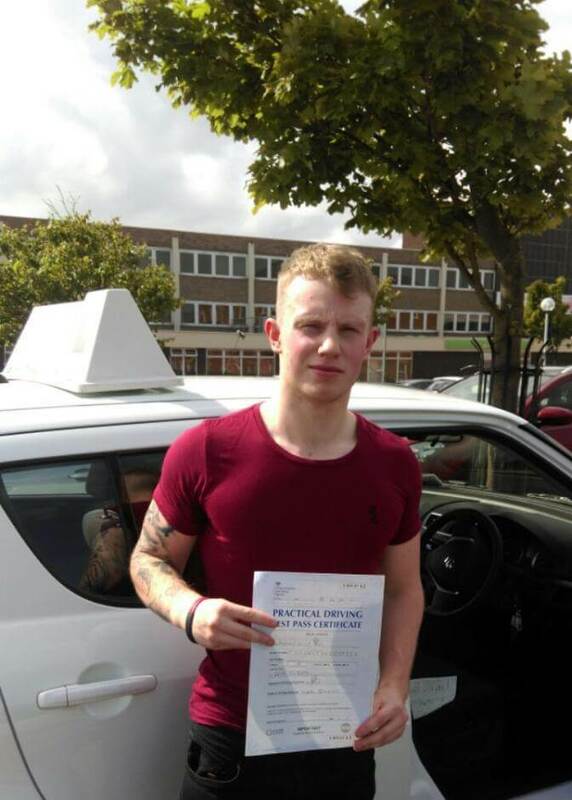 Congratulation on passing your practical driving test 1st time with only 9 minor marks! 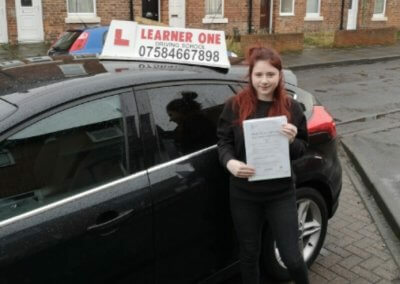 Well done Emily on passing your practical driving test with 10 minor marks! 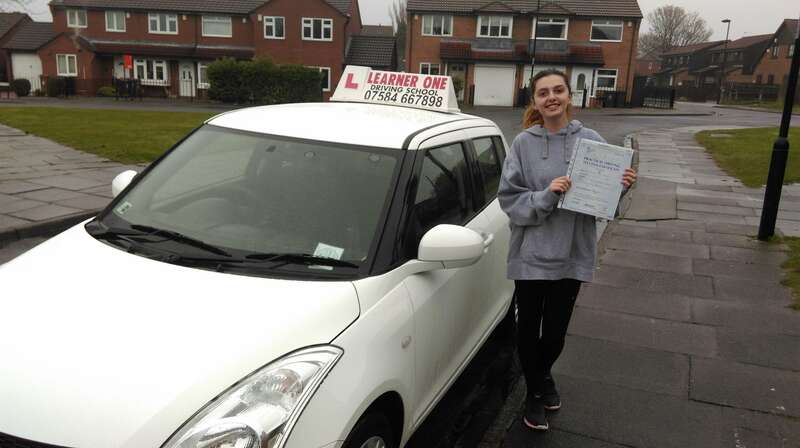 Well done Laura, passing your practical driving test with only 1 minor mark! 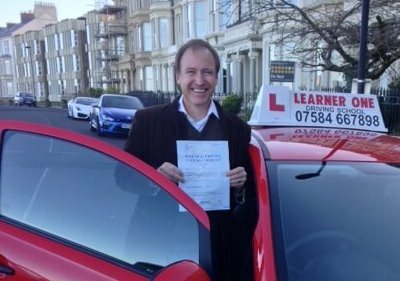 Well done Ian, passing your practical driving test first time with only 5 minor marks! 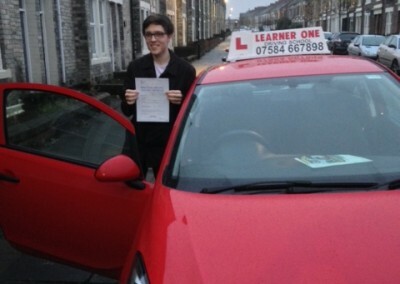 Well done Matthew on passing your practical driving test 1st time with only 3 minor marks! 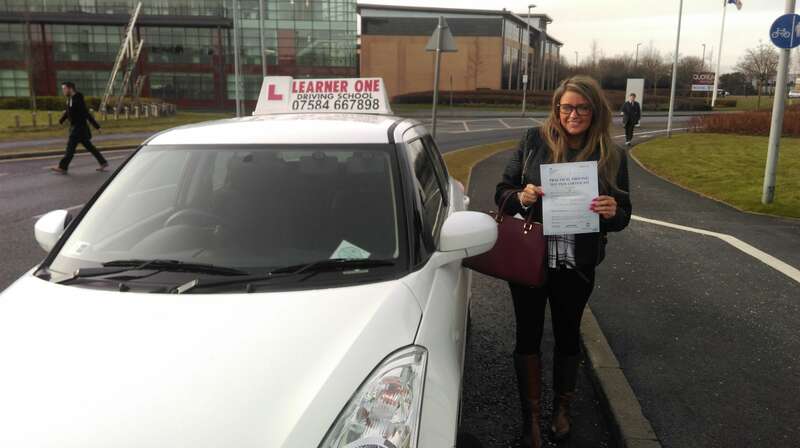 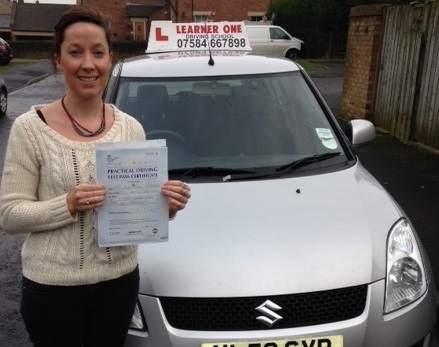 Well done Stephanie on passing your practical driving test with only one minor mark! 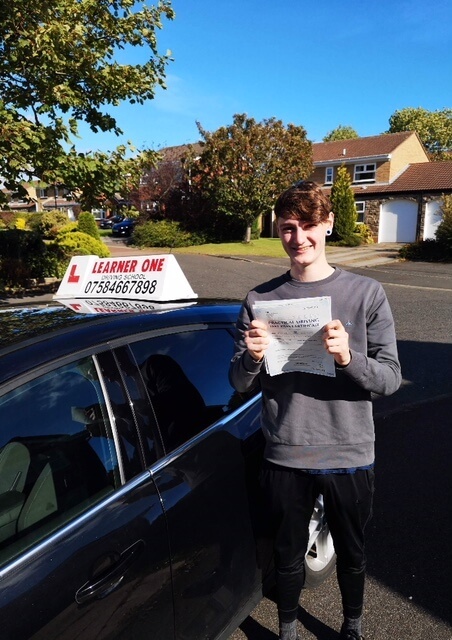 Congratulations Sam on passing your practical driving test with only 2 minors! 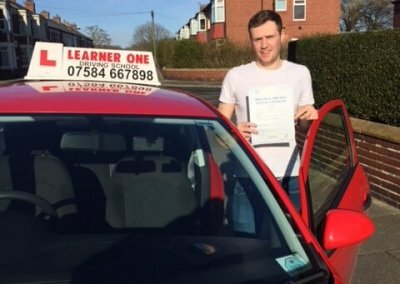 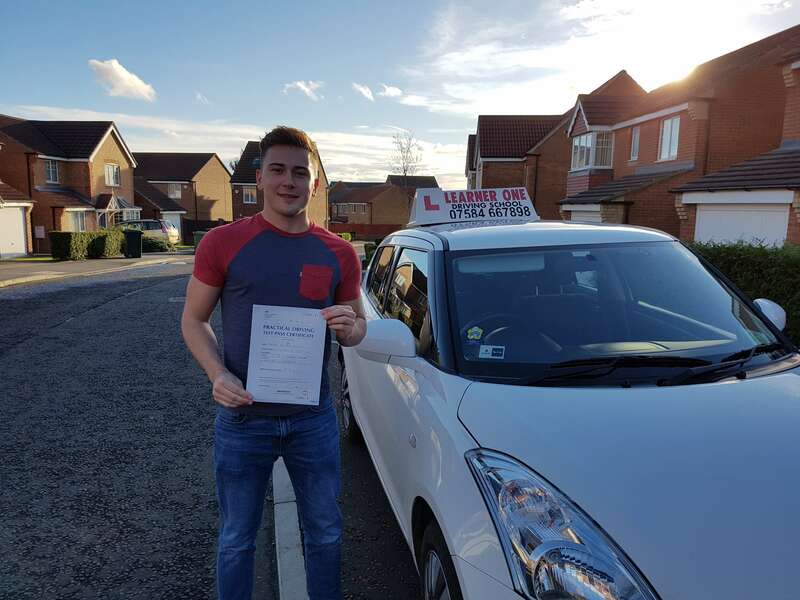 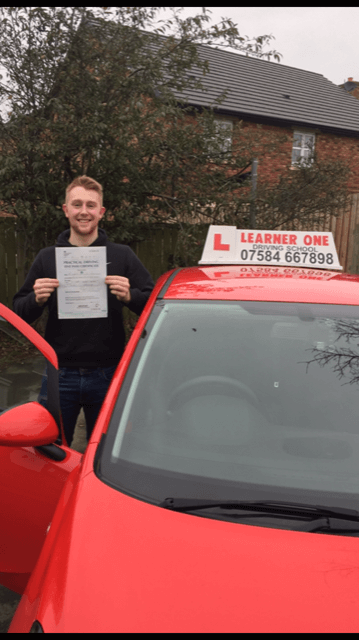 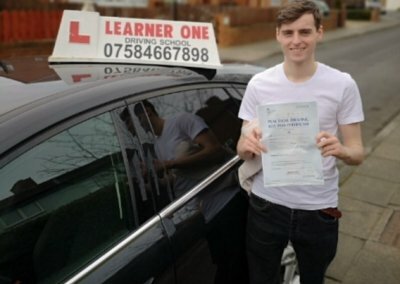 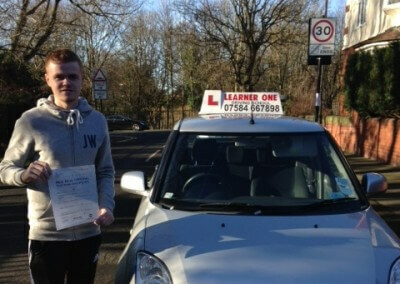 Congratulations Jack on passing your practical driving test with only 2 minor marks! 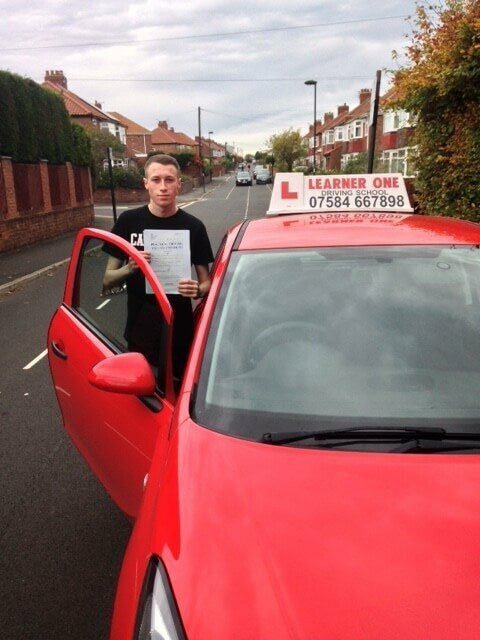 Well done Kyle Bradley on passing 1st time! 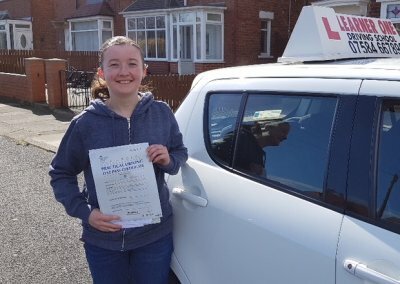 with only 5 minor marks. 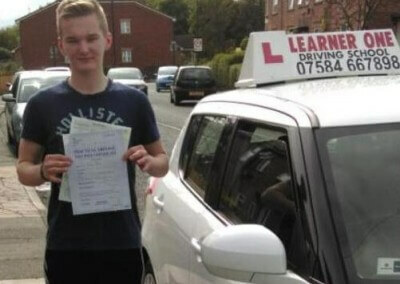 Well done Tom on passing your practical driving test 1st time with only 3 minor marks! 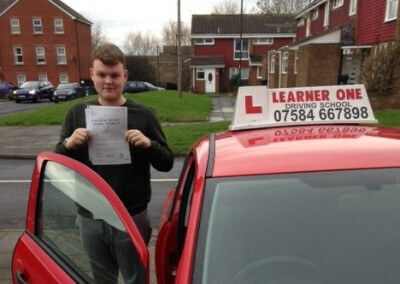 Well done Michael Potts on passing your practical driving test 1st time with only 5 minor marks! 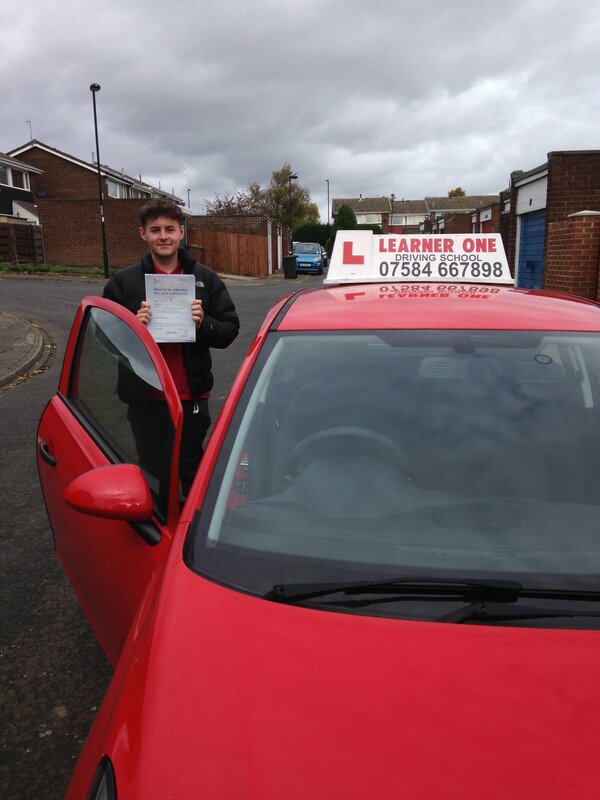 Well done Luke Owston on passing your practical driving test 1st time with only 7 minor marks! 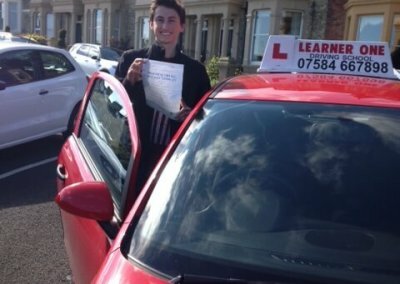 Well done Harry on passing your practical driving test 1st time with only 4 minor marks! 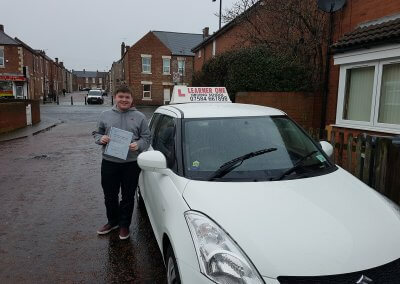 Well done Ben on passing your practical driving test 1st time with only 8 minor marks. 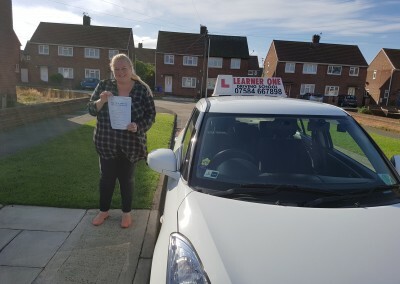 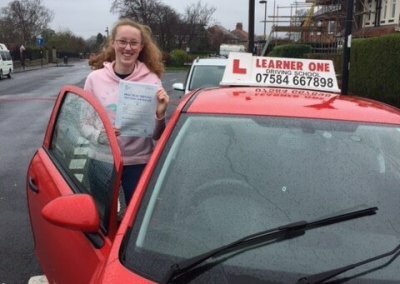 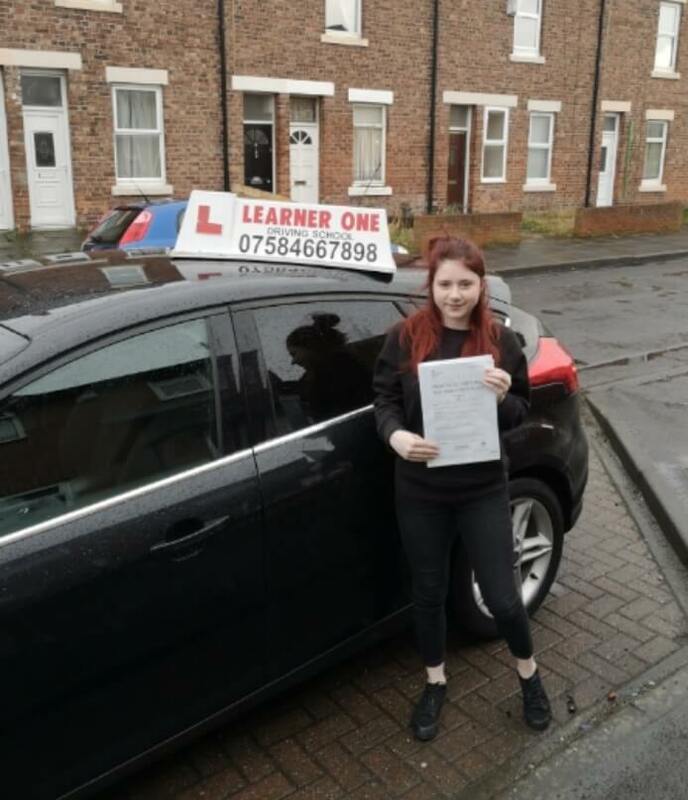 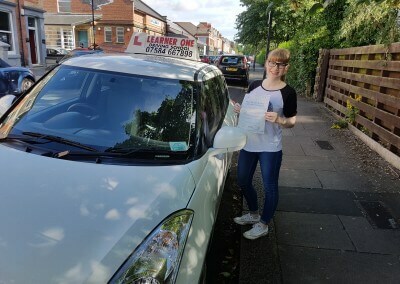 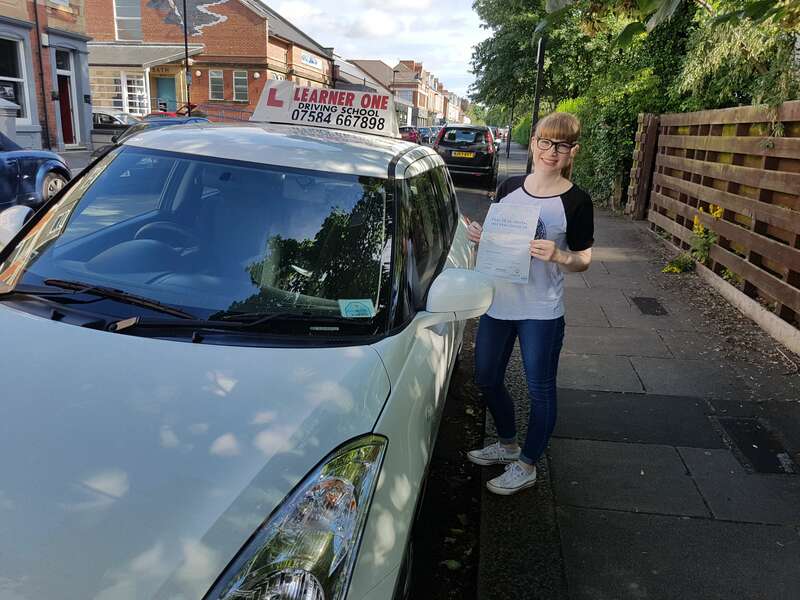 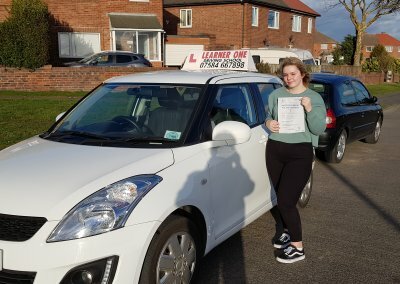 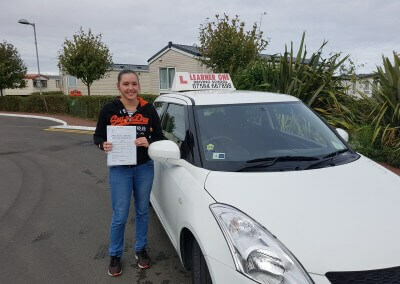 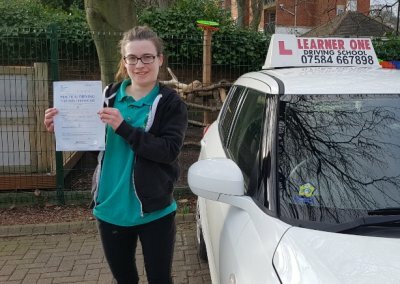 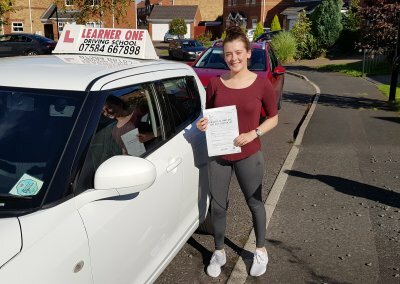 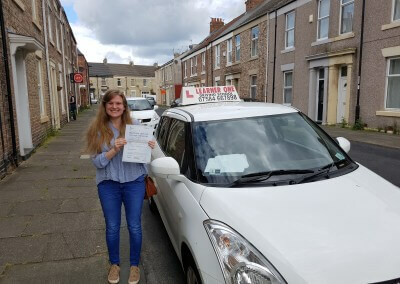 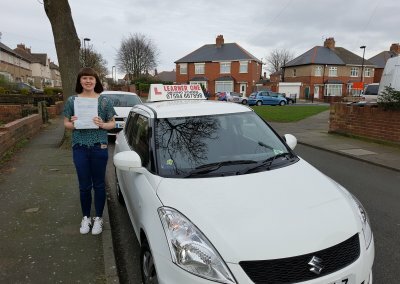 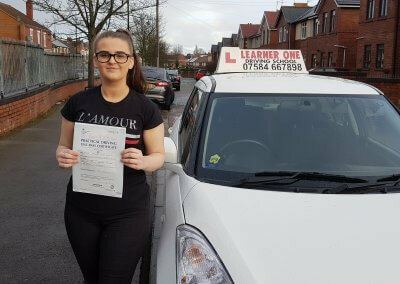 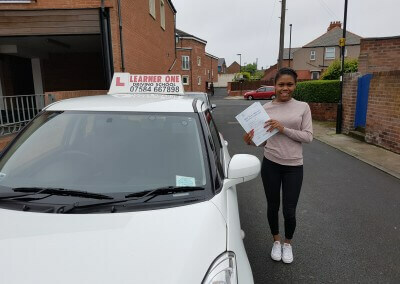 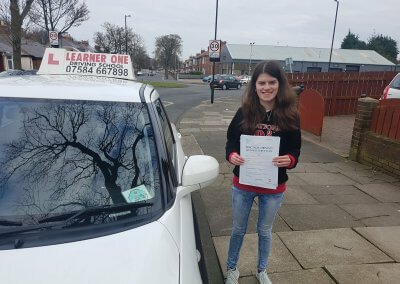 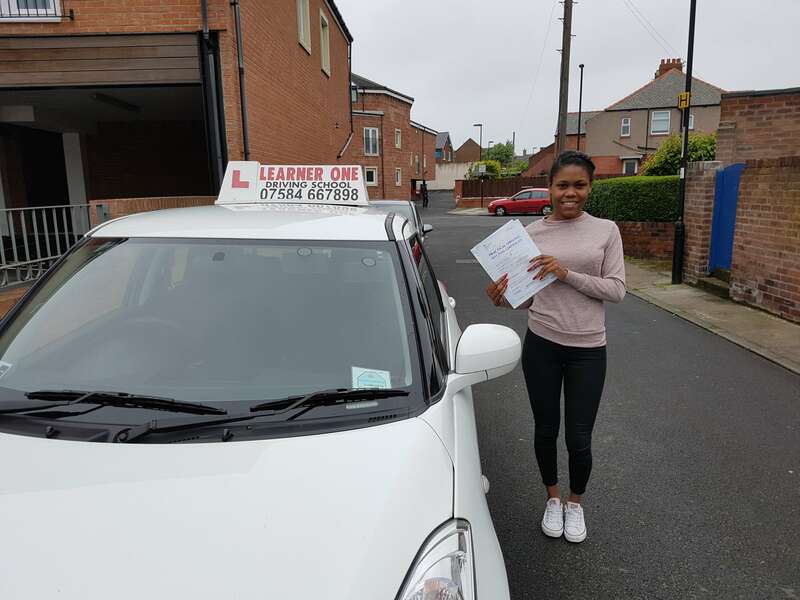 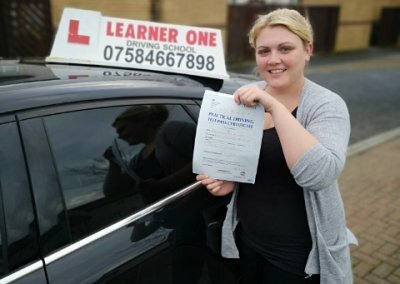 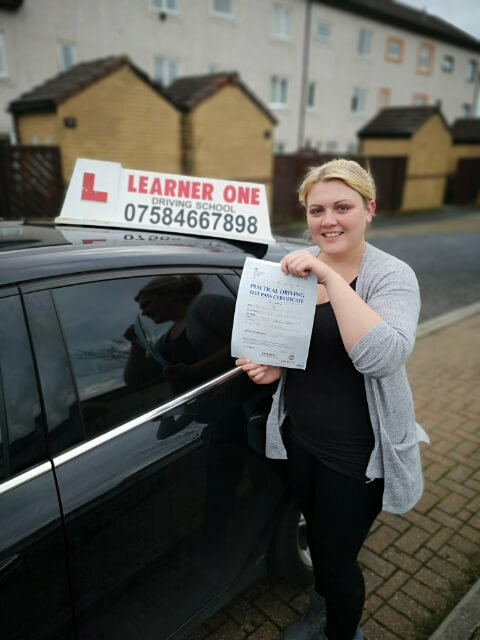 Kaylie Mann passed with only 4 minor marks, First Time!! 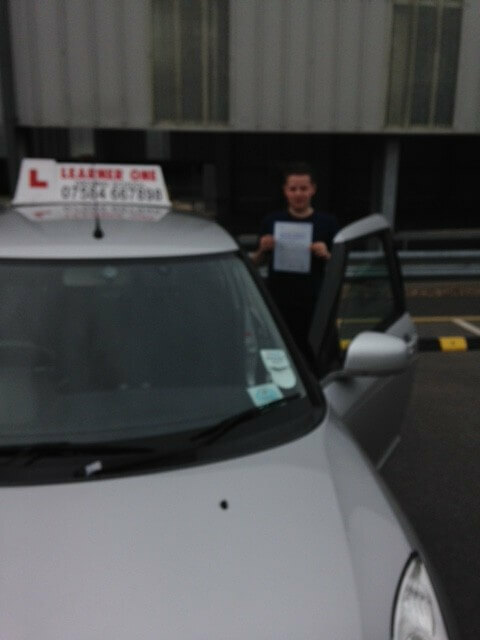 Well done Liam on passing your driving test 1st time! and with only 1 minor mark! 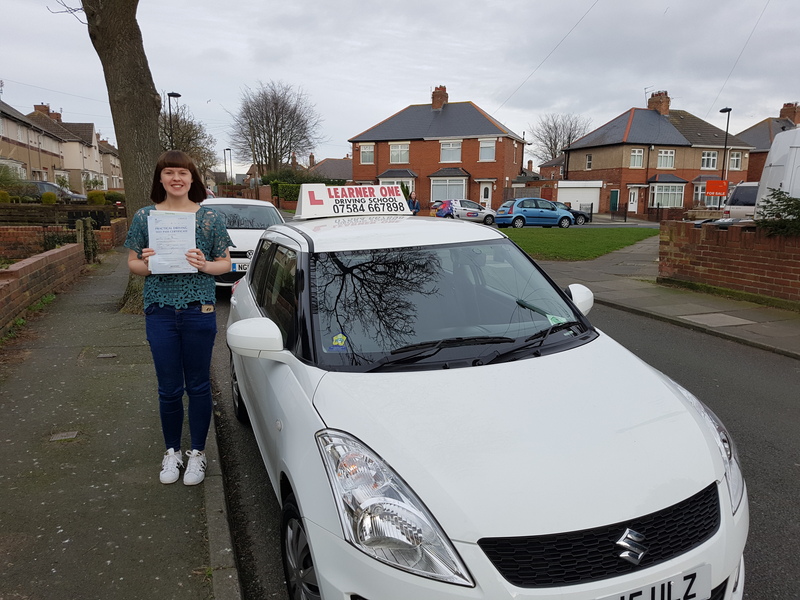 Well done Natalie on passing your test with only 3 minor marks. 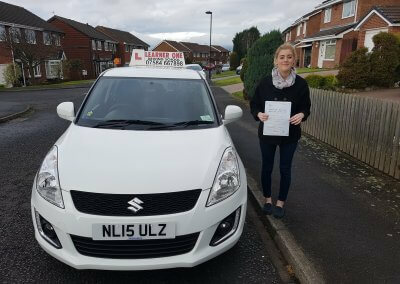 Well done Jessica on passing your test with 7 minor marks. 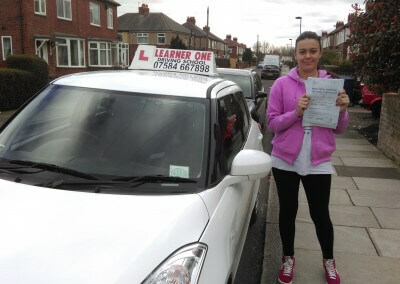 Well done Gemma on passing your test first time with only 2 minor marks!! Well done Elizabeth on passing your test with only 5 minor marks! 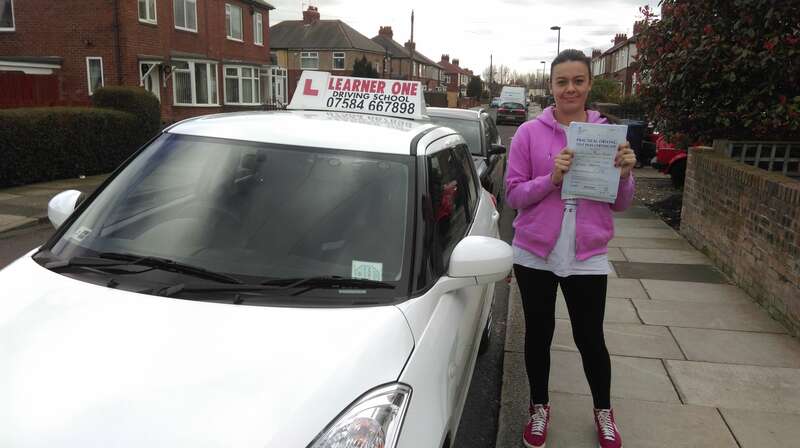 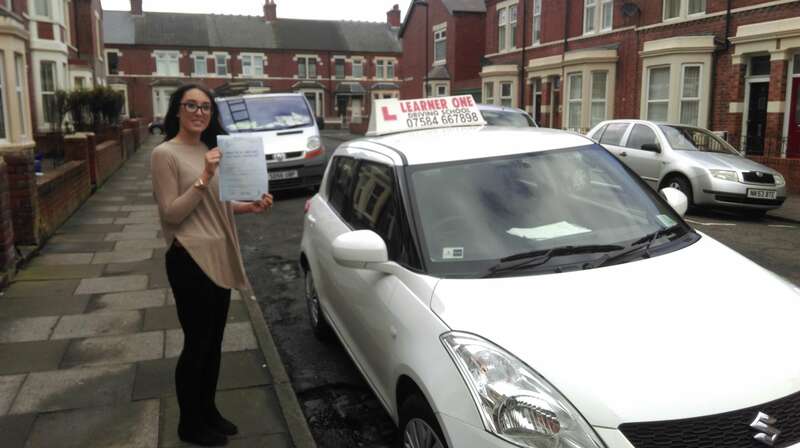 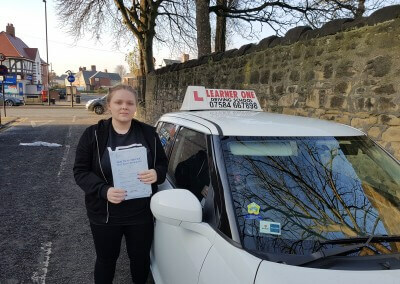 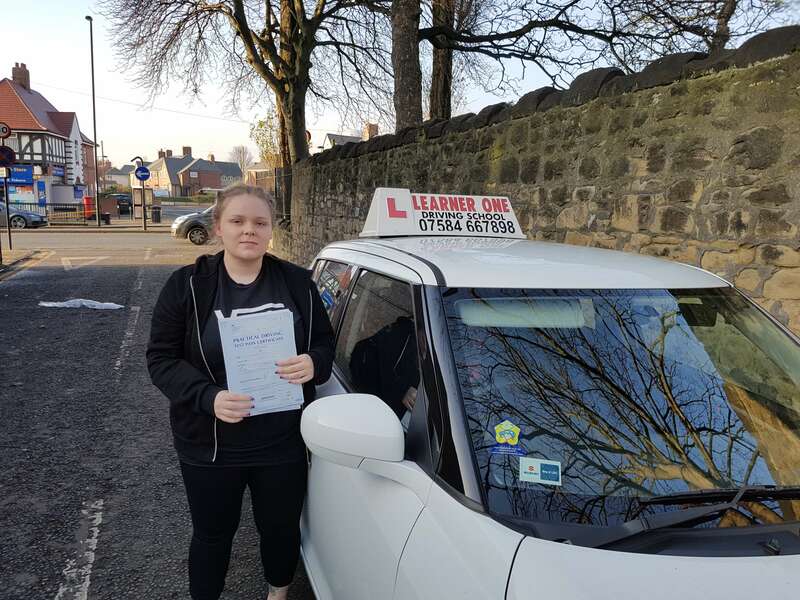 Well done DANIELLE BELL, Passed with only 5 minor marks! 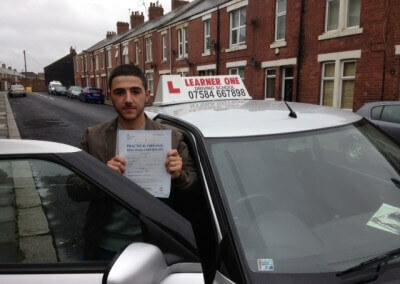 Well done Yehdonis on passing your practical driving test with only 3 minor marks! 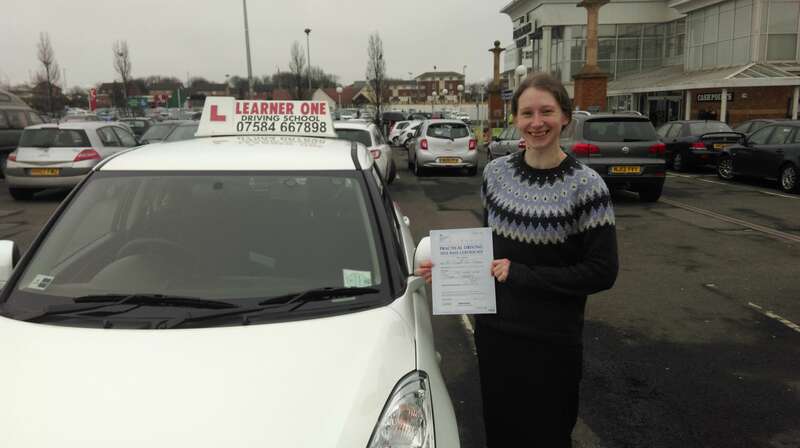 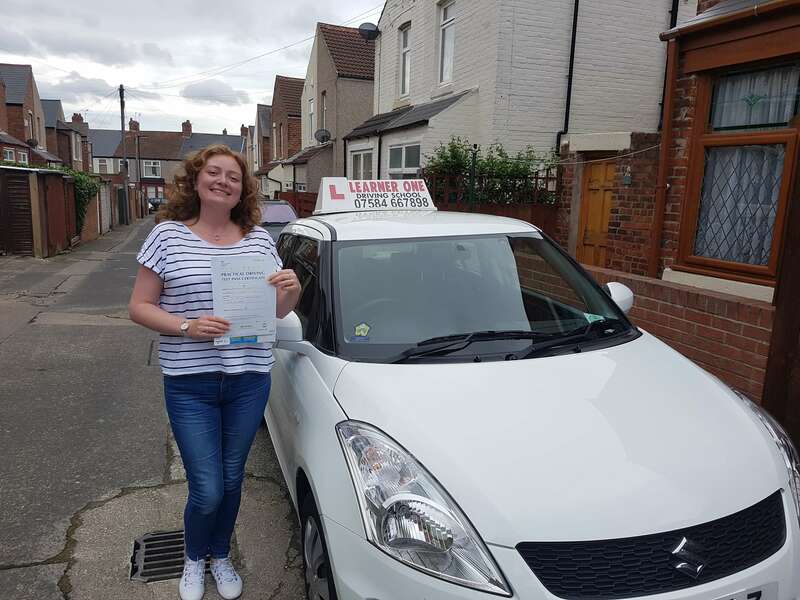 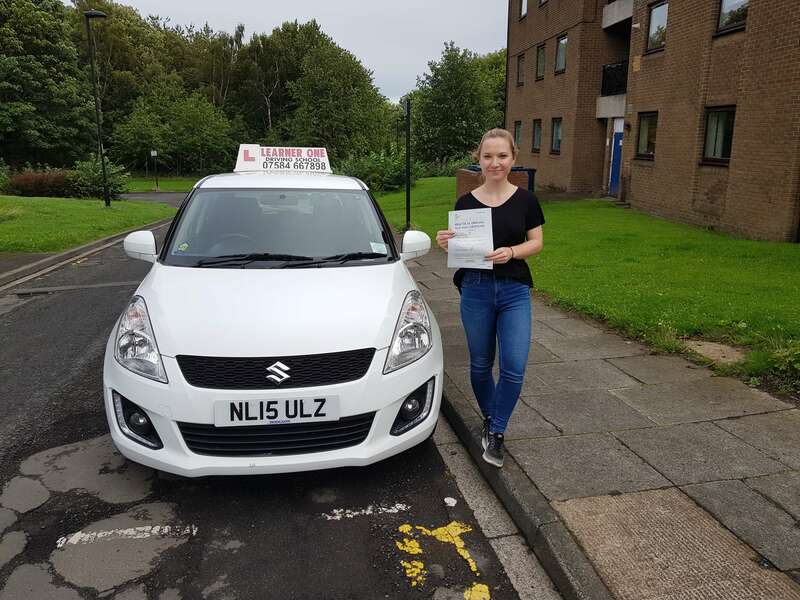 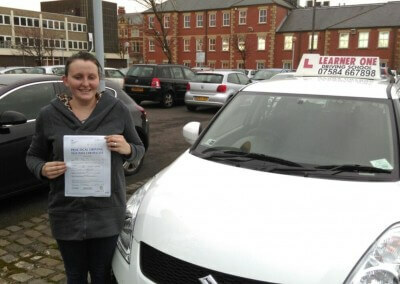 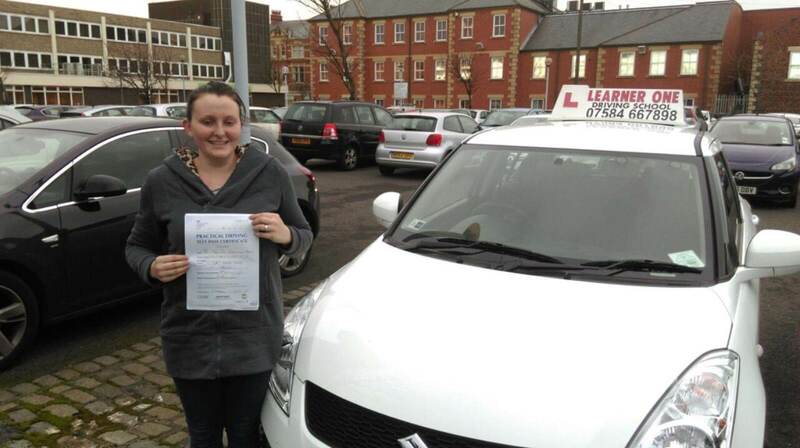 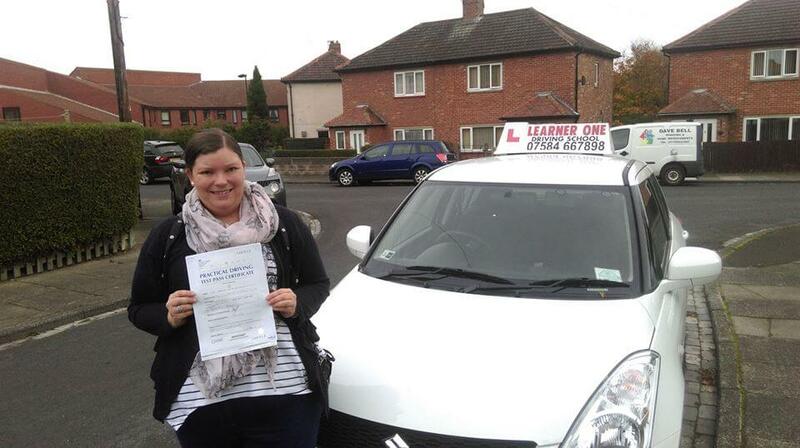 Congratulations Sara on passing your practical driving test with only 4 minor marks! 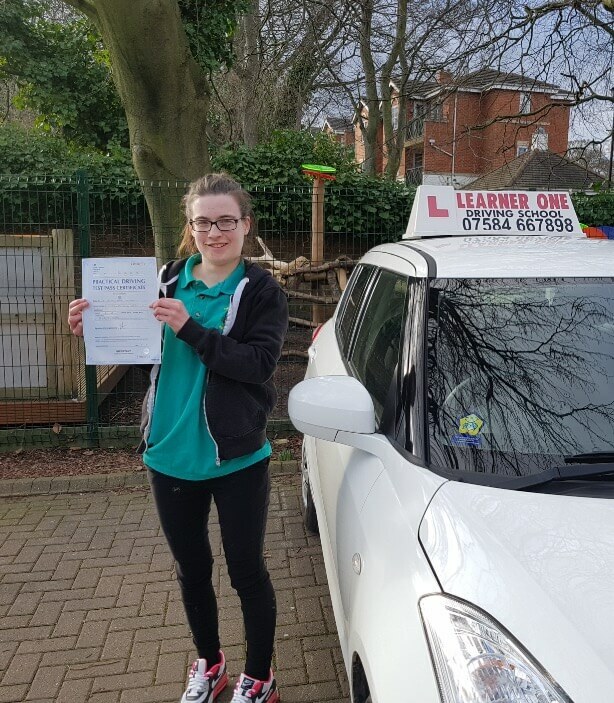 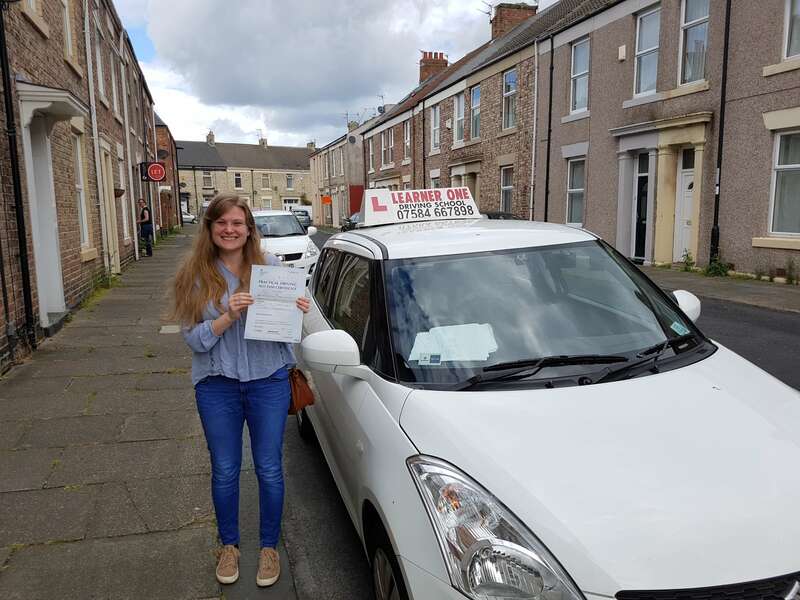 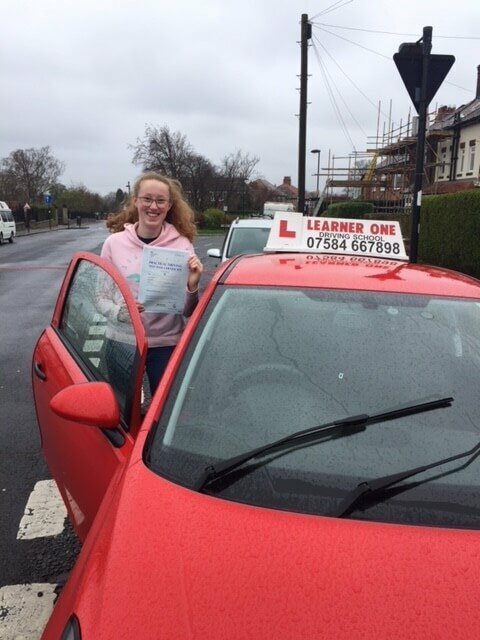 Congratulations Katie on passing your practical driving test with 7 minor marks! 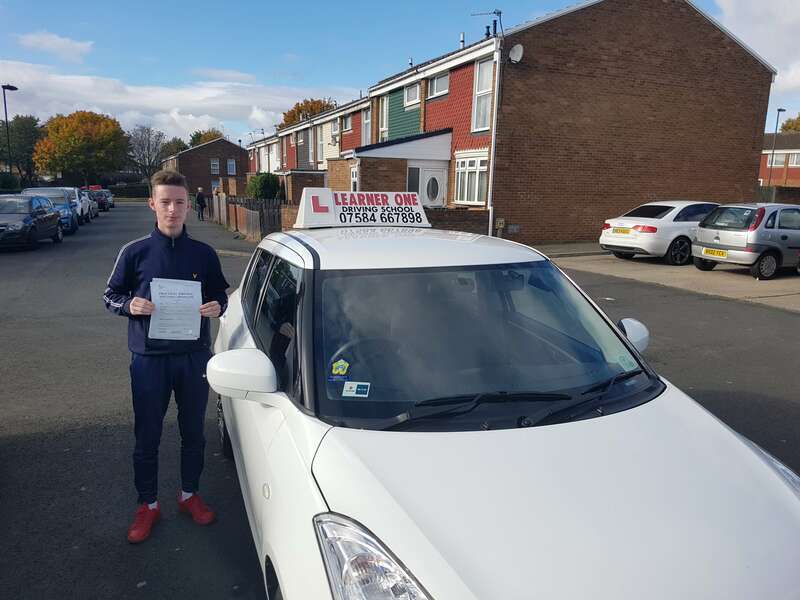 Well done Ryan on passing your test first time with only 5 minor marks! 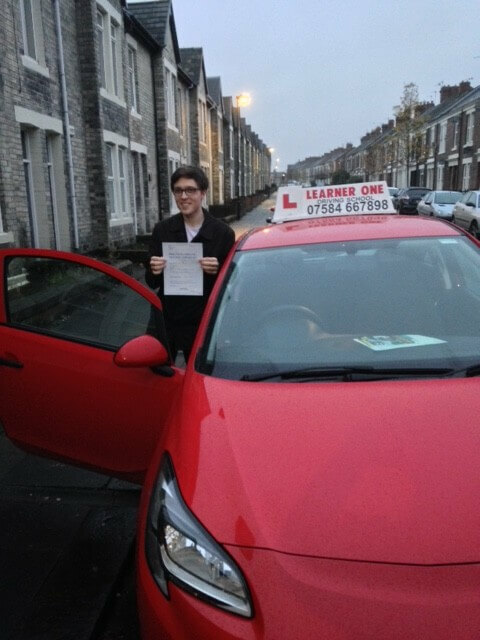 Congratulations Anastasi on passing your test 1st time with only 2 minor marks! 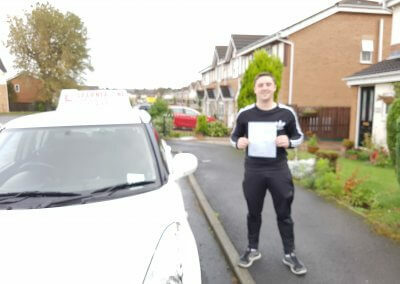 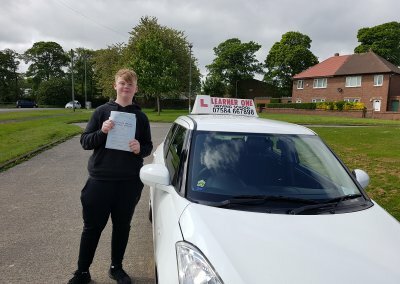 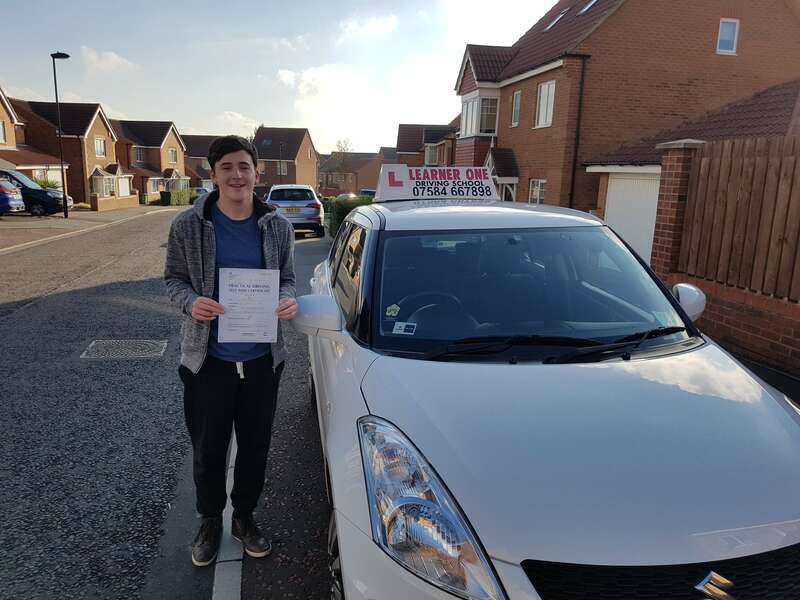 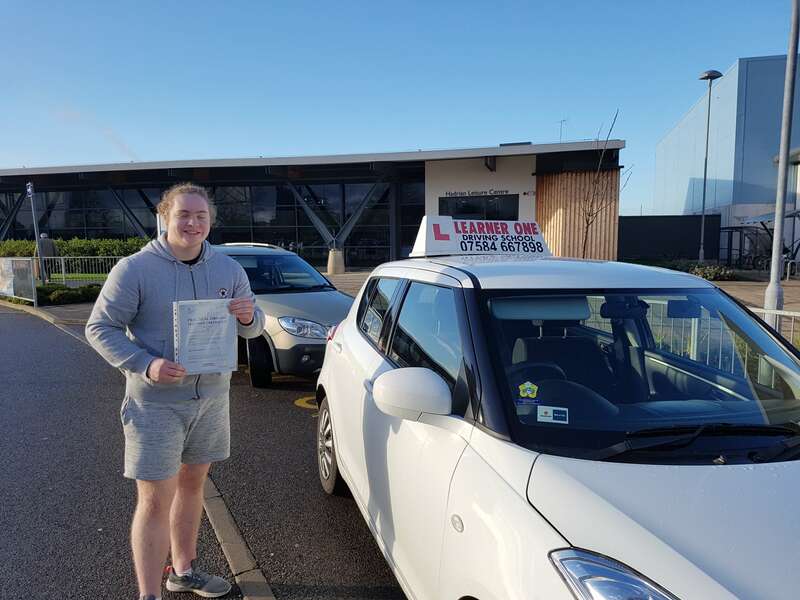 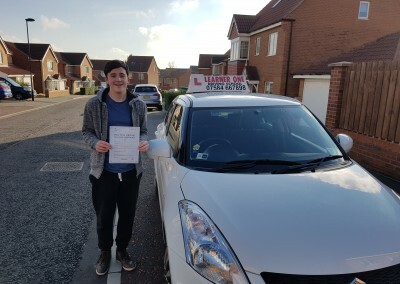 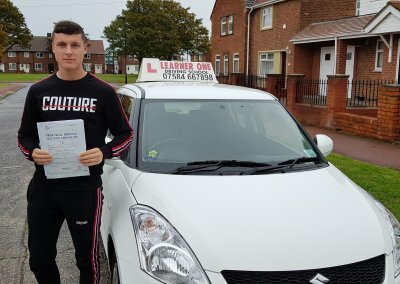 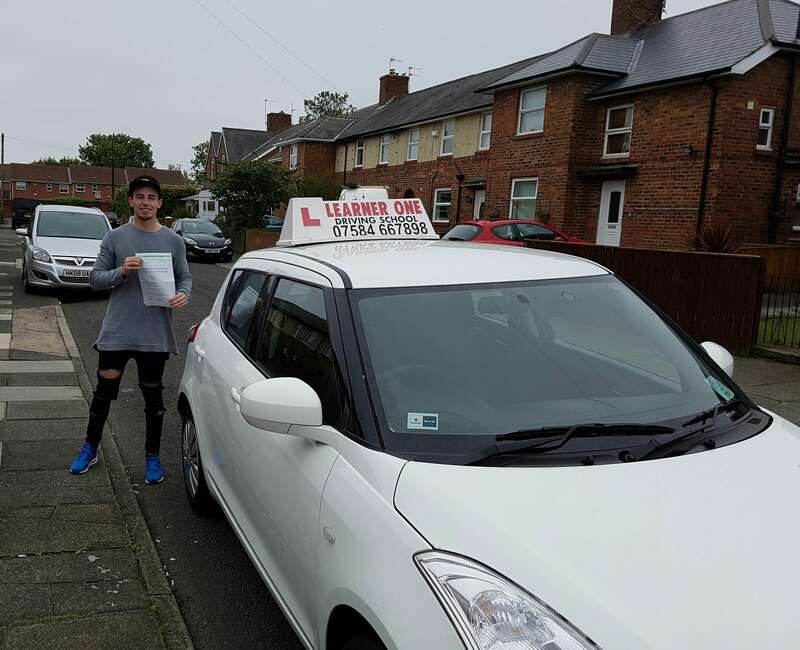 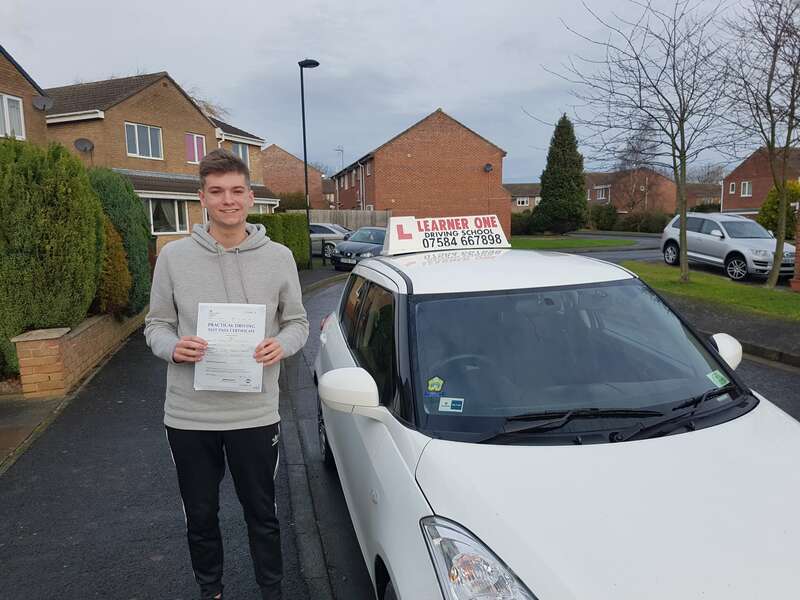 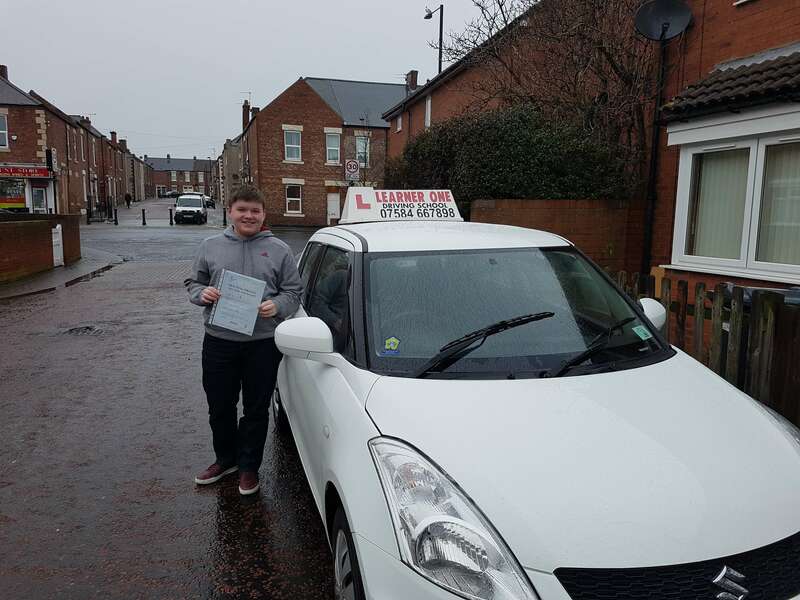 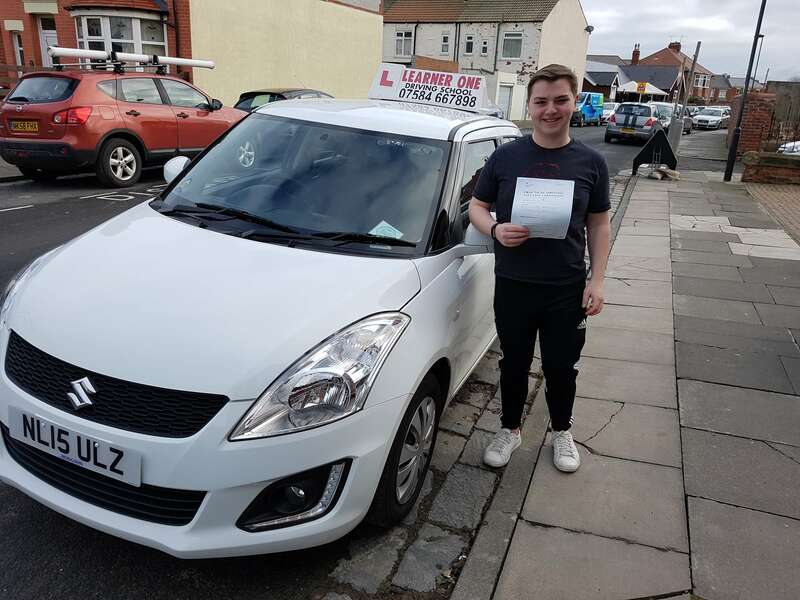 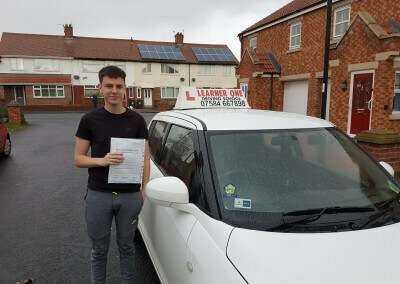 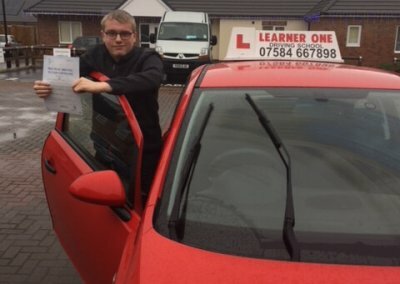 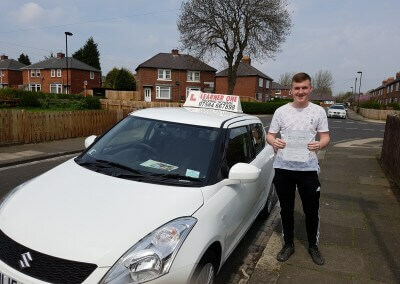 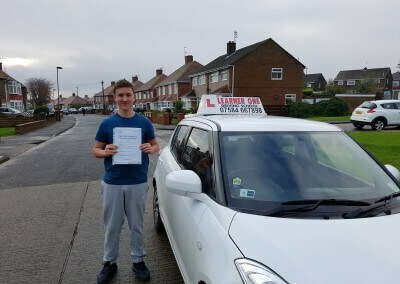 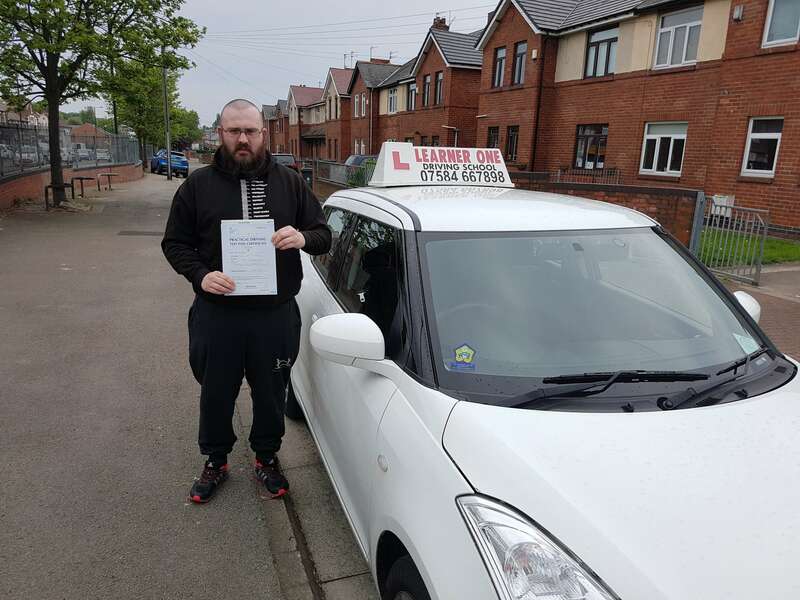 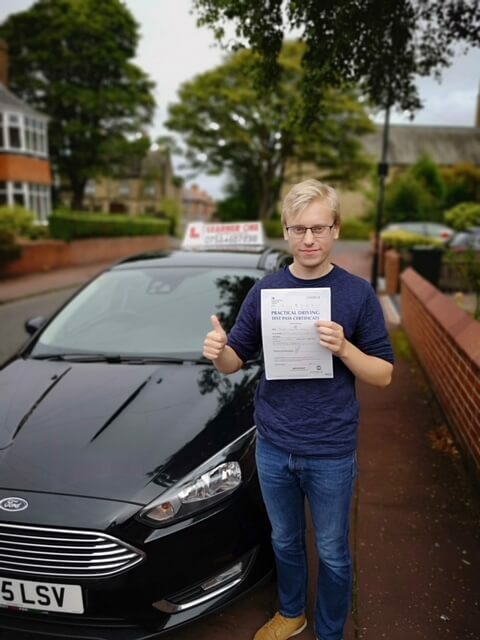 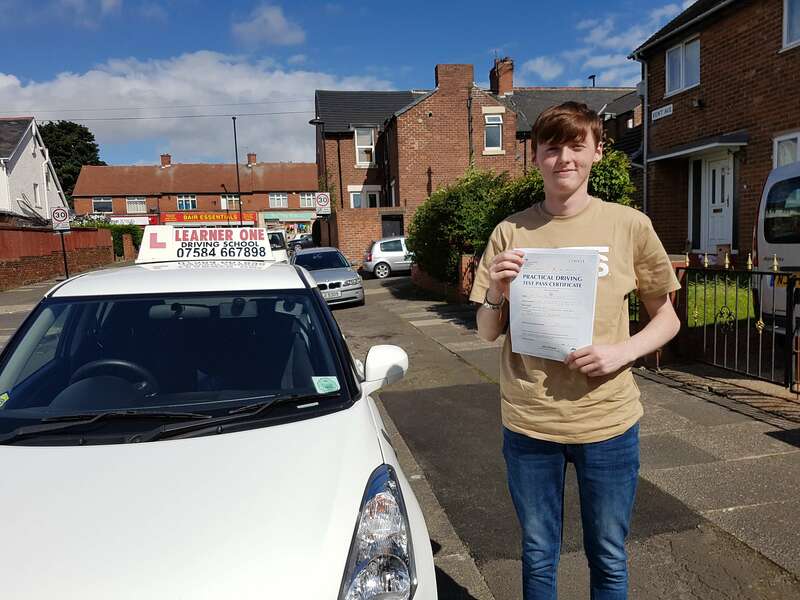 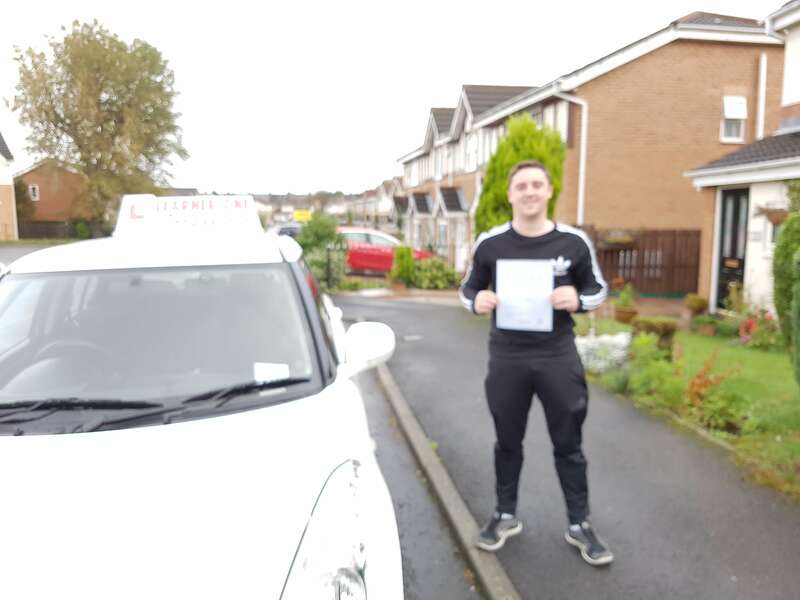 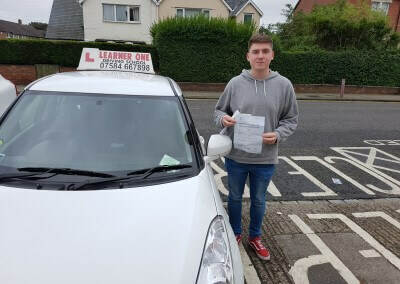 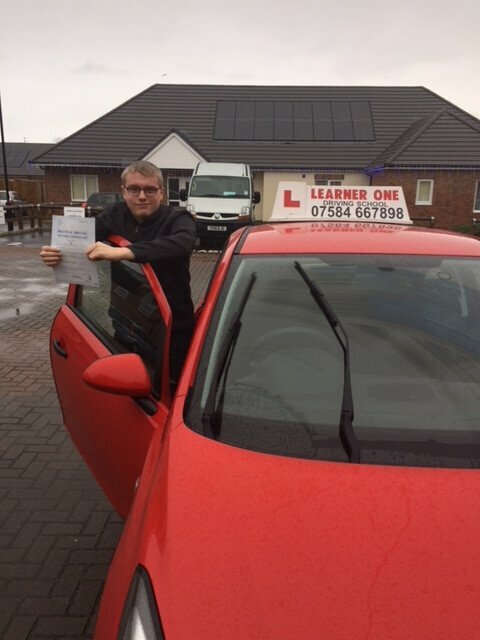 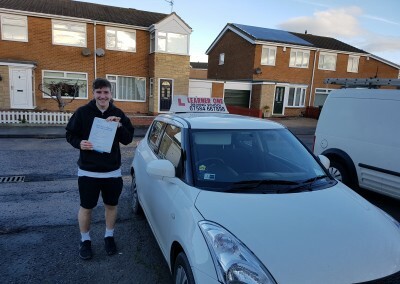 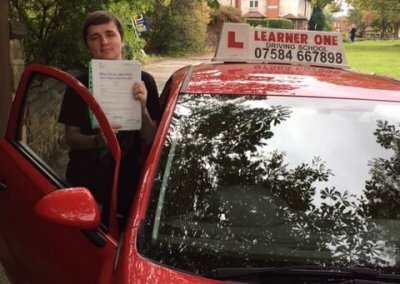 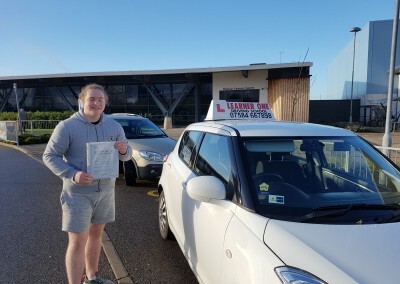 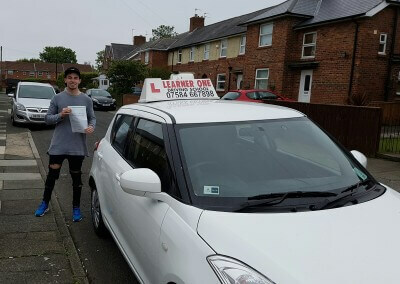 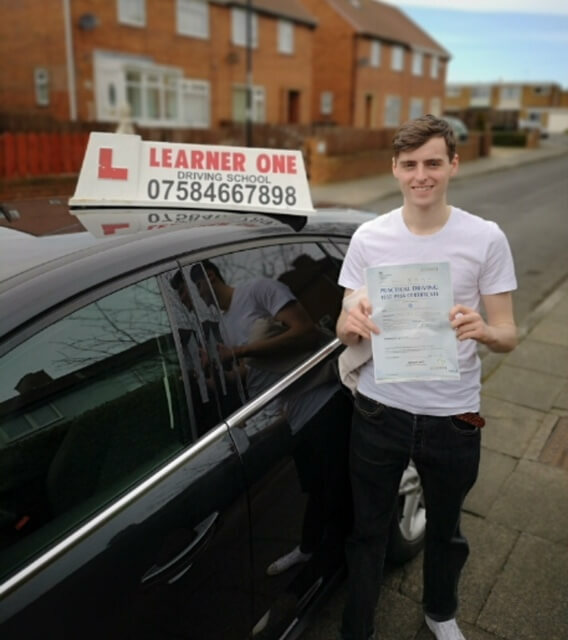 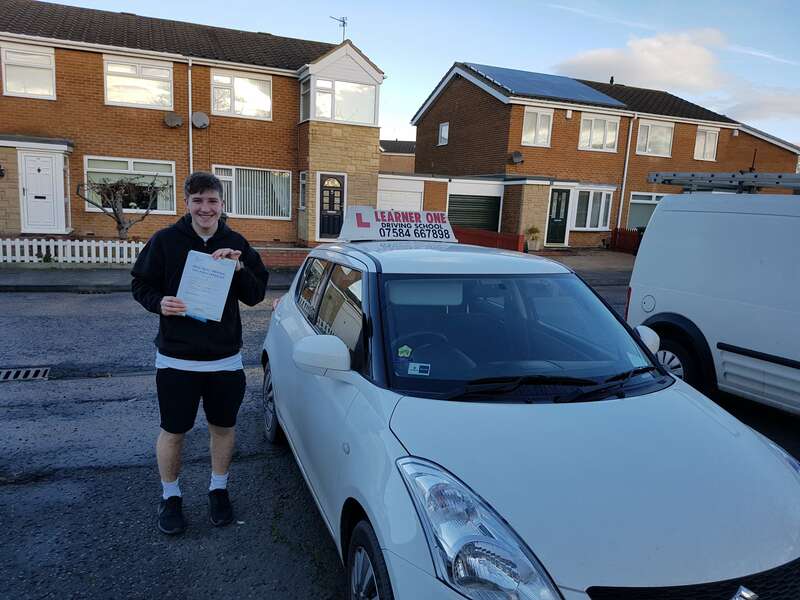 Well done Conner on passing your practical driving test with only 7 minor marks. 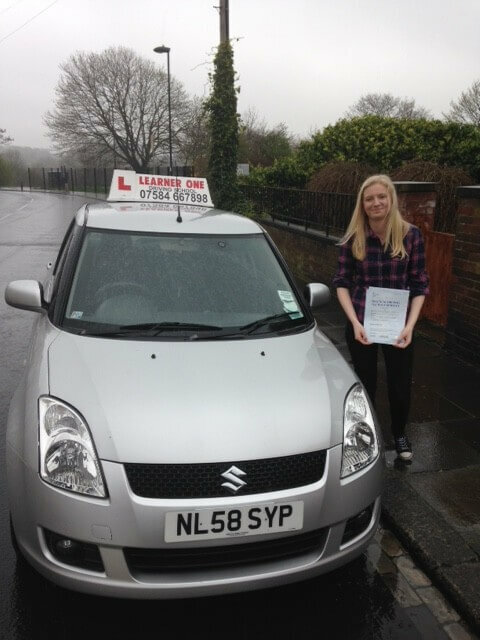 Well done Mary on passing your driving test first time with only 6 minor marks. 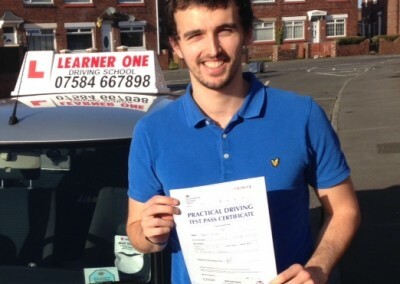 Well done Paul on passing your practical driving test with only 5 minor marks! 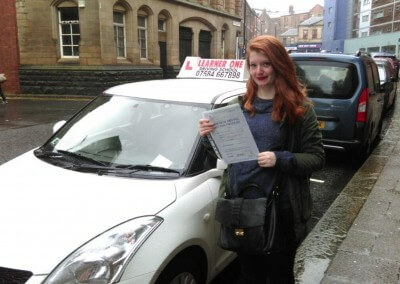 Well done Hannah on passing your practical driving test with only 7 minor marks! 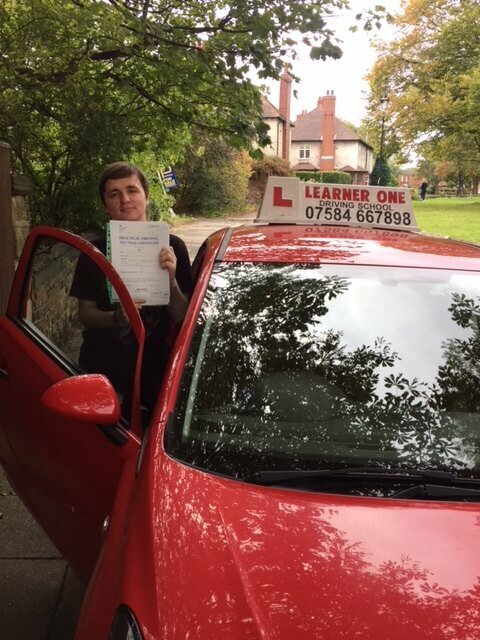 Well done Denver on passing your practical driving test with only 2 minor marks!